Rachel Kitagawa Shapiro, born in Reading, PA, first discovered the violin at age four. 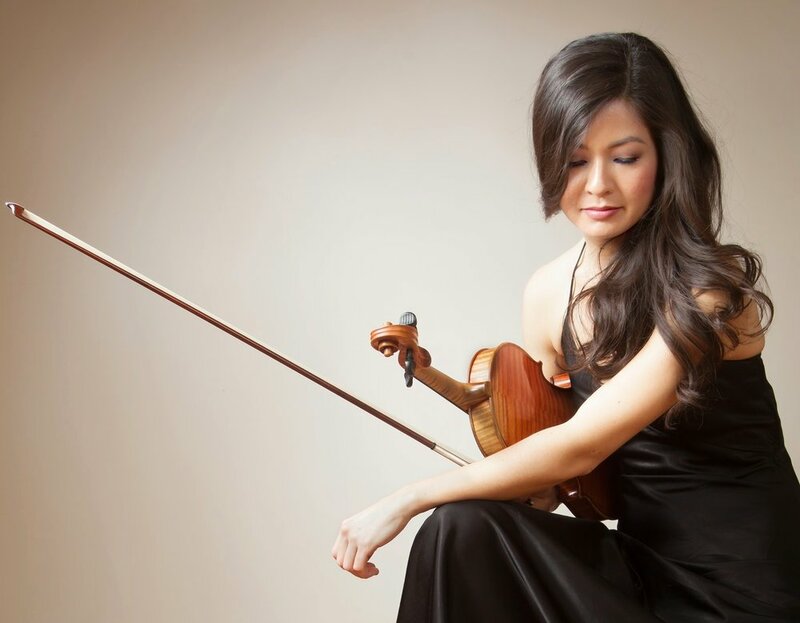 She has since performed in such venues as Carnegie's Weill Recital Hall, London’s Wigmore Hall, and across the United States, Canada, Mexico, the United Kingdom, Germany, Norway, the Czech Republic, the United Arab Emirates, China, and Korea. Founding member and second violinist of the critically acclaimed Aeolus Quartet, her playing has been praised by Mark Satola of the Cleveland Plain Dealer, “in a beautifully balanced interlude wherein the second violin dances attendant to a heartfelt melody… Rachel Shapiro [was] outstanding here.” Collaborations include a performance on the Metropolitan Opera stage alongside Renée Fleming, as well as appearances with Michael Tree, Jon Kimura Parker, the Juilliard Quartet, and the Miró Quartet. In demand as an ensemble player, Ms. Shapiro was invited to appear with members of the Philadelphia Orchestra on a subscription concert for the Philadelphia Orchestra's Chamber Collection series at the Kimmel Center. In the 17-18 season, Ms. Shapiro appears with the Mark Morris Dance Group Music Ensemble, A Far Cry, and on faculty at TCU’s Intensive Chamber Music Workshop. Ms. Shapiro was appointed Professorial Lecturer at the George Washington University in 2013. She has served on faculty at Stanford University’s “Why Music Matters” Educational Program for Gifted Youth, the University of Maryland’s High School Music Academy, the Austin Chamber Music Center Workshop, and Point CounterPoint Chamber Music Camp. As teaching assistant at the Juilliard School, the University of Maryland, and the University of Texas, she coached undergraduate and graduate student ensembles and taught private lessons. Ms. Shapiro holds an Artist Diploma from the Juilliard School, having earned her Master of Music from the University of Texas at Austin and her Bachelor of Music from the Cleveland Institute of Music. She attained a Doctor of Musical Arts degree at the University of Maryland in 2016. Having minored in English Literature, Ms. Shapiro is an avid writer and was recently published in Strings magazine.